The shyest symbol of New Zealand proves to be as rare as hen's teeth. This pleasure cruise to New Zealand left the passengers on the boutique ship feeling thoroughly spoilt. Putting Panasonic's new Lumix cameras to the test in New Zealand. 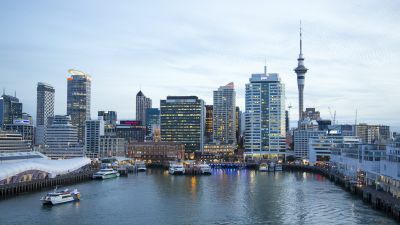 With its relatively small size and luxurious feel, a cruise aboard Azamara Journey is a little different from the mega-ship norm – particularly with the scenic coastline of New Zealand's North Island as the backdrop. Many of us tend to think of New Zealand as being distinctly chilly, but Northland, in the far north of the North Island, is sometimes known as the Winterless North for its mild, sub-tropical climate. Home of the long white cloud and now hobbits - New Zealand is very much on the movie enthusiast's must-see list. When all you need is a place to lay your head en route to your next destination, think inside the pod. The Bay of Islands, near New Zealand's northern tip, is a scenic smattering of low, green islets and is beautiful under any sky.